Wendy Chuck has formed an integral part of the Galen school community over the past 31 years, holding positions such as Student Welfare Co-ordinator, Year 7 Co-ordinator, Integrated Studies domain leader and is the newly appointed Junior School Director for 2015. Wendy is an inspirational and engaging educator whose innovative curriculum design in the Year 7 SENIT program and the Year 9 Discovery program has led to her being held in the highest esteem by all members of the Galen community, including both staff and students. 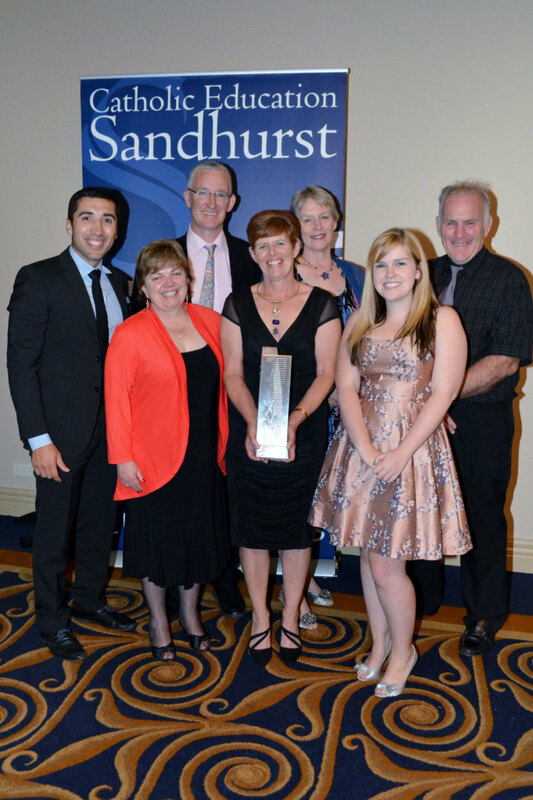 This year Wendy’s achievements have earned her the Sandhurst School Education Board’s Educarè Award for outstanding classroom teaching and curriculum innovation. Wendy is a deserving winner of this prestigious award as her commitment and support of the ethos of Catholic Schools and active support of collaborative whole school initiatives form the cornerstone of her teaching. Wendy has an ability to empower and enable both students and staff to achieve greatness and generates a sense of hope and optimism within the school community. The highly esteemed Educarè award is given in the Spirit of John 10:10 – “I have come that they may have life and have it abundantly”. Wendy leads by example in this regard and inspires others to believe there is always a better way whilst speaking the language of the students. 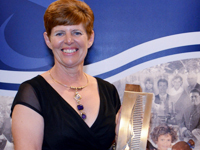 On the 24th of October Wendy and her special guests including her parents and her husband, Rob, attended a presentation evening in Shepparton, where Wendy shone as a worthy recipient of the Educarè award. This evening, dedicated to Wendy’s shining career, left all in attendance feeling inspired, much like the feelings all staff and students have after walking away from any interaction with Wendy. Deputy Principal of Staff and Student Wellbeing, Pat Arcuri, honored Wendy’s achievements with a beautifully honest speech that perfectly encapsulated Wendy as a dedicated teacher, colleague and friend. Afterwards, Wendy accepted her award with grace and humility, in true Wendy Chuck style. Everything Wendy does in life has the best interests of somebody else in mind and this was evident on the evening through testimony from students, staff, family and friends. On behalf of the entire Galen community we would like to congratulate Wendy on this prestigious and highly esteemed achievement. The Sandhurst community would be hard pressed to find a more worthy candidate.